Rod Strickland, Chair of the Board, is a dentist practicing in Savannah. He has been married to his wife Lori for over 20 years. They have 4 children, Chloe (graduated HHCA with the Class of 2015), Lilly (Class of 2016 graduate), Ivy (11th) and Cameron (9th). The Strickland's relocated to Bluffton from Indiana in 2007 and have been attending HHCA for 10 years. They attend church at Low Country Community Church in Bluffton. 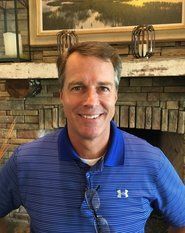 Scott Songer is the founder/owner of a management consulting and M&A advisory firm as well as a financial technologies software company. Scott and his wife, Stephanie Santos, have three daughters: Isabella, Elinor and Nora. The Songers relocated to Hilton Head Island in 2017 from Scott's hometown of Annapolis, MD. They attend services at St. Anthony's by the Sea and Lowcountry Community Church. 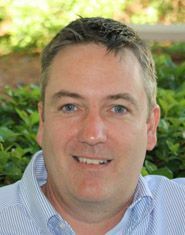 Joe Short, Vice Chair of the Board, is president and joint owner of Ocean Woods Landscaping. He is married to Bridget Short and they have four adult children, all of whom graduated from Hilton Head Christian Academy. 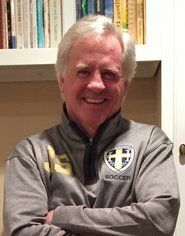 He serves on the HHCA Finance Committee and has been actively involved in the soccer program at HHCA for 17 years, currently volunteering as assistant coach for the boys varsity soccer team. He previously served on the HHCA board from 1999 to 2005. He is a member of Holy Family Catholic Church. 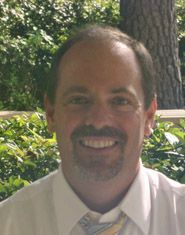 Bill Whitton, Secretary of the Board, works with Gulfstream Aerospace Corporation out of Savannah, Georgia. He and his wife Loreen have been married for 35 years and have four children, two of whom are HHCA graduates, Melissa (Class of 2010) and Zachary (Class of 2017). They attend Community Bible Church on the Bluffton campus. 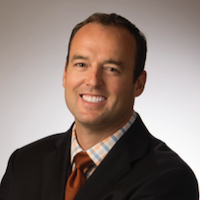 Jim Van Grouw, Treasurer of the Board, is a CPA at his own business, James L. Van Grouw, LLC. He is married to Beverly Van Grouw and they have 2 children, Natasha in the 11th grade and Matthew, an HHCA graduate (Class of 2015). The family has been at HHCA for 11 years and they attend Independent Presbyterian Church. Ford Allen, is the owner and operator of Clifford Allen Associates, Ltd. He is married to Lee Quarterman Allen and they have three children, Case in the 12th grade, Shelby a 2013 graduate who attends Elon University and Chelsea who is 26 and attended Christian Academy as well. Ford and his family have been at HHCA since 2001 and they are members of Low Country Community Church. Ford also served as Chair of the Board from 2014-2017. 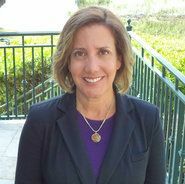 Samantha is currently a Director of the Ginn Family Foundation. She has a background in public relations and human resources. Sam and her husband, Jon Boyd, have 2 children attending HHCA, Grant (a senior) and J.T. (8th grade). Their oldest son Hunter graduated with the Class of 2015 and is attending Auburn University. The family has been at HHCA for 10 years and they attend LowCountry Community Church in Bluffton. 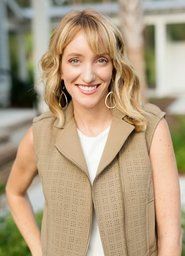 Katie Dalzell and her husband, Chris, own Shoreline Construction, a residential and commercial contractor in Bluffton. She is the head interior designer of the company and a proud mom of three girls. Emma Kate is in 6th grade and Campbell is in 4th grade at HHCA. Her youngest, Anna Price is three years of age. Her family attends Low Country Community Church. Pratt Reed is president of the Reed Group. He and wife Kim are both Hilton Head Christian Academy alumn. They have 2 children attending HHCA, JP in 5th grade and Shelby in 7th. 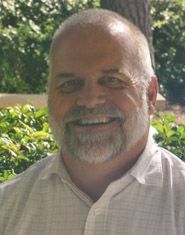 Pratt is an active member at Hilton Head Presbyterian Church. 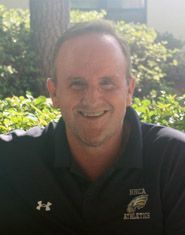 Matt Webster has been a Hilton Head Island resident since 1989 which is also the first year he attended a basketball game at HHCA and he has been a big fan ever since. Matt and his wife Stephanie have three children at HHCA. Cole (graduated with the Class of 2017, now attending the University of South Carolina). Carson is a junior and Camryn is in the 6th grade. Their boys started at HHCA in the first grade and Camryn started in Kindergarten so they have a long history at the school and plan to be at HHCA for many more years to come. 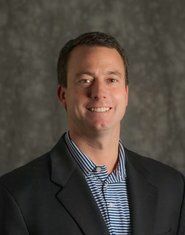 Matt has been in banking since he graduated from Furman in 1988. He currently works at TD Bank. When he is not working or attending a ball game at the school, he enjoys biking, surfing and just hanging out with his family. Murray and her husband, Randy, have two children attending HHCA. Murray and Randy moved their family to Bluffton, SC after living in New York City for over 20 years. The family attends Church of the Cross in Bluffton. Murray is a retired Delta Airlines executive. She also worked in television and publishing media and consulted for corporate America in recipe design, menu development and food styling. Gerald and his wife, Amy moved to the Bluffton area in January of 2009. They have two children enrolled at HHCA and they are active members of LowCountry Community Church. Upon graduating from the University of New Hampshire, Gerry began his professional career with Fidelity Investments. After five years in the financial industry, Gerry commissioned into the U.S. Marine Corps in 2004, where he served as a Judge Advocate until his honorable discharge in 2012. Colby and her husband, Blaine, have four children attending HHCA. The family resides in Bluffton and attends Church of the Cross. Colby received a Bachelor of Arts degree in Psychology from the University of Maryland. Prior to starting a family, she enjoyed a successful career in the pharmaceutical industry, specializing in women’s health. When my family and I moved here over ten years ago, there was no question in my mind where we would send our four children (ages 4, 5, 8 & 9) to school. It was Hilton Head Christian Academy. Prior to moving here, our children were attending public schools in Indiana. The Indiana schools were great, but my wife and I had a strong desire for our kids to be mentored by Christian teachers in a Christian atmosphere. We toured most of the local Christian schools and HHCA clearly stood above the rest. So, in the fall of 2007, three of our four children started HHCA in first, fourth and fifth grades (my youngest wasn’t old enough for kindergarten). Since that time, our experience has been better than we ever imagined. I’m sure each of you have somewhat similar stories. You wanted a better place for your child. You wanted a safe environment where your child is taught a Christian worldview by Christians. You wanted a place where your advanced child could be challenged, or maybe where your child with learning differences could be mentored and empowered to achieve his full potential. Some of you were attracted to Hilton Head Christian Academy’s top notch athletics and arts programs. It’s wonderful to see kids at HHCA who are 2, 3 and even 4 sport athletes while also participating in the exceptional school chorus and plays. Regardless of what brought you here, my prayer is that HHCA will have a long lasting and positive influence in your family's life. I joined the board several years ago to make a difference. I don’t look at my service to HHCA as a “job”, rather, I look at it as a calling that God has placed on my heart to help build His kingdom. I am inspired and driven by HHCA’s vision which is, “To Know Christ and Make Him Known” as well as our mission which is, “To partner with our families by providing our students with a firm foundation, comprising a growing relationship with Jesus Christ and a relentless pursuit of excellence in academics, athletics, and the arts, through which students are equipped to impact the world for His glory.” Everyone on the Board of Directors keeps this vision and mission at the core of his or her decisions. As a Board, we have our own mission in support of the school. “The Board of Hilton Head Christian Academy is responsible for upholding the School's mission by setting the strategic and financial direction for intergenerational sustainability. Our members will reflect the required expertise, diversity and capacity to plan strategically as we implement our agenda, mindful of the fiduciary and policy-setting roles we hold as stewards. The Board will ensure operational excellence through the Head of School who, with the School's leadership team and faculty, will carry out our daily mission.” Each member of our Board of Directors has a heart for Christ and is a servant on this earth for His glory. Please take a look at their pictures and comments below. I believe you will agree with me that they are an exceptional group. In conclusion, my prayer is that God would reveal to us his will for HHCA. Would you please pray the same? And also, if you see me walking around the hallways, at sporting events or just around town, I would love it if you would stop me and say, "hi."